Time for another edition of Tori’s Top Picks! Today we take a look at my top 5 favorite sofas available at Sheely’s! Sofas typically take center stage when it comes to a living room, family room or rec room. There is nothing worse than a beautiful sofa that is horribly uncomfortable, or a sofa unpleasant to the eyes, yet feels like you’re sitting on a cloud. My top 5 picks definitely take into account both comfort and attractiveness. 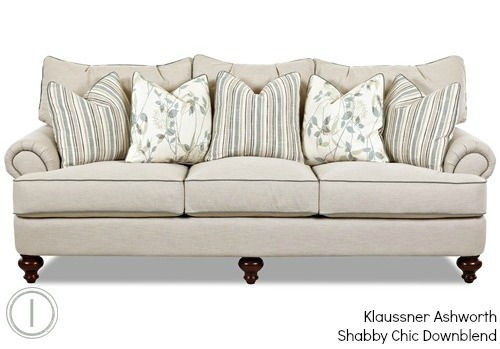 Ever since I began working at Sheely’s I have been eyeing this gorgeous Klaussner Ashworth Sofa. This shabby chic sofa is elegant and incredibly comfortable. With down blend t-cushion seats you are able to sink right in and relax. The upscale stained wooden spindle leggings and knife-edge loose back pillows dress the sofa making it look sophisticated, stylish and so very classy. 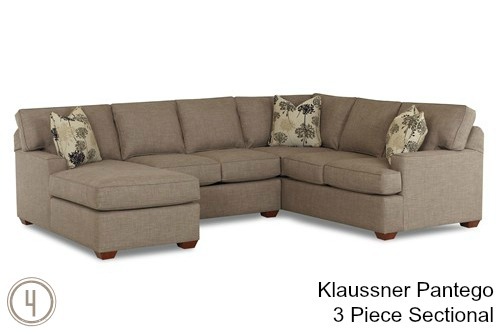 Available in a variety of upholstery options, this Klaussner sofa is sure to fit perfectly in any space of your home! The simple silhouette of the Décor-Rest 2400 Series Sofa is the reason it is so high up on my Top 5 Picks! With low sloping track arms and an attached back, this transitional sofa is great for a room where conversation is emanate. This sofa would fit wonderfully in a living room, den or any formal space in your home. Made available in an assortment of upholstery, sure to match your very own personal style! 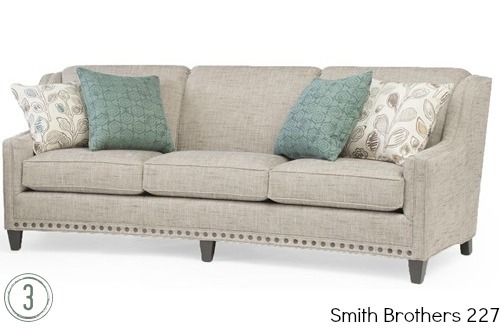 I am a little (a lot) obsessed with this beautiful Smith Brothers 227 Series Sofa. This sofa features a unique slightly curved back, sloping track arms and lovely nail head trim. With an assortment of available fabrics and leathers this stylish, chic and comfortable Smith Brothers sofa is the key component to any living space! I have always been a huge fan of sectionals. I find them cozy, comfortable, and simply perfect for a big family! This Klaussner Pantego Sectional is not only comfy, it is trendy too! The minimalist design is clean, polished and super modern. Featuring a LAF chaise and low track arms, this Klaussner Sectional is a great center piece that can fit the whole family! When I stumbled upon this beauty on Sheely’s website, I just knew it would make my Top 5! 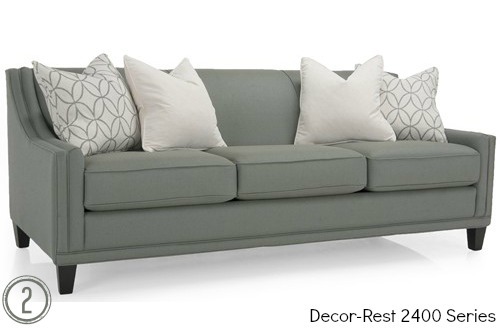 This Décor-Rest 2230 Series sofa is chic, modern and 100% Tori. The unique look of the tuxedo back dresses up the contemporary sofa, along with the lushly padded rolled arms showcasing the nail head trim. The button tufting along the bottom and welt cord trim give the sofa a traditional appearance with a contemporary twist. 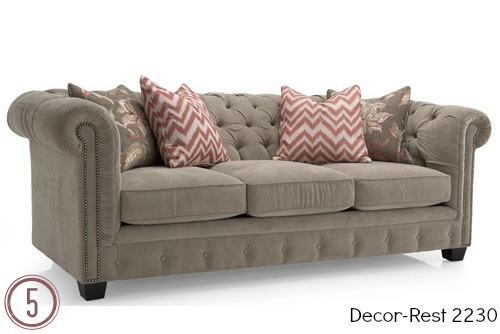 Select your very own upholstery and make this Décor-Rest sofa perfect for your home!